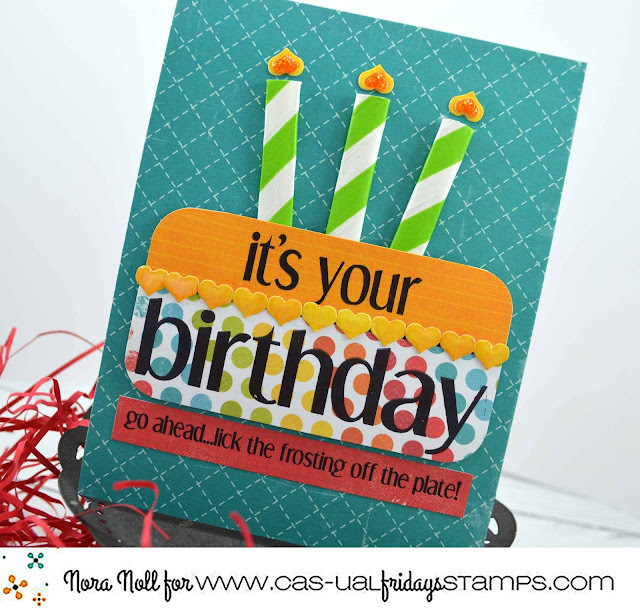 CAS-ual Fridays Stamps: Go Ahead...Lick the Frosting Off the Plate! Go Ahead...Lick the Frosting Off the Plate! I've got one last birthday project post for this month as we begin to wrap up our 5th birthday! If' you get our newsletter, you got to see 3 awesome candle projects that are excellent ways to use up some of your scraps. Well, guess what? Nora has one more for you! I know, right?! It's freaking awesome!! 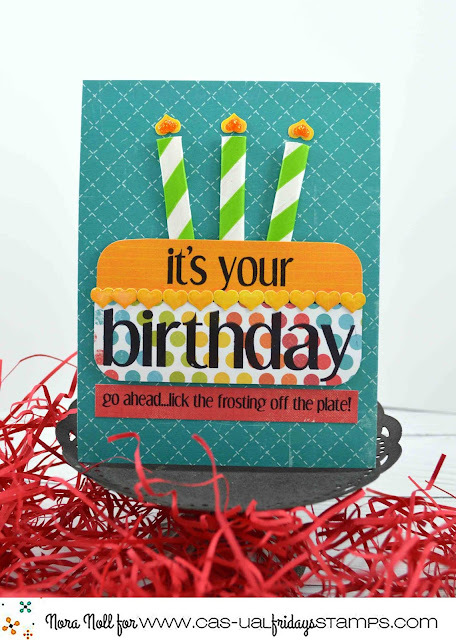 She got inky with Shenanigans and used her cute scraps to make a cake! With candles!! Those darling heart shaped candle flames are from Fun-Fetti Fri-Dies! Do you see them on the cute little cake border too? Did you know that Shenanigans and Fun-Fetti Fri-Dies are both on SALE?? Our Birthday SALE ends in about 48 hours! Get the sets you want at the special prices before time runs out! If' you're not on our Newsletter list, jump over to our sidebar and enter your email addy! I've got some exciting things I'll be sharing there in just a couple of days!